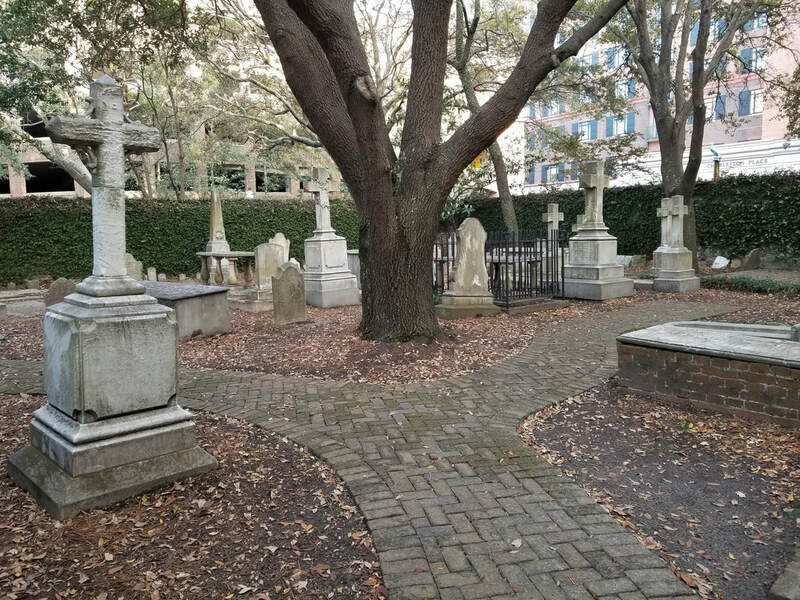 Saint Mary of the Annunciation’s Graveyard is a treasury of Charleston’s Catholic History that is linked to the present. The first burials took place in the late 18th century. It is estimated that about 550 are buried here including ancestors of current parishioners. Under the leadership of Michael Willson of our parish, an updated inventory and mapping of the graveyard began in 2017 and was completed in the spring of 2018. His efforts were assisted by other parishioners and a team of graduate students in Conservation from the College of Charleston with the guidance of Professor Frances Ford.